A new condo tower near Phoenix is more than 80% sold out, thanks in large part to its luxurious amenities and urban location. 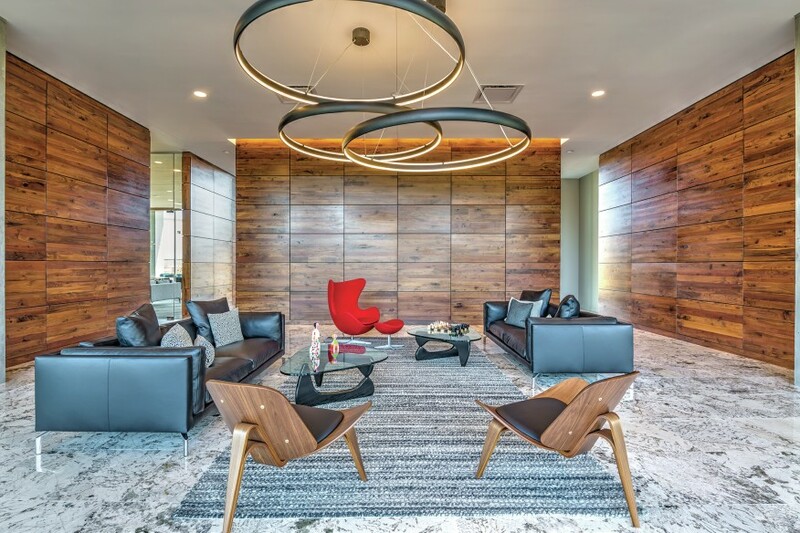 Optima Kierland’s high-rise condominium in North Scottsdale features one-, two-, and three-bedroom units priced from the mid $300,000s and ranging from approximately 720 to 1,709 square feet, with varied floor plans and a broad assortment of finish selections. “Our steady pace of sales are a true testament to the allure of Optima Kierland as a sought-after luxury community, and a clear indicator that Scottsdale was ready for a new amenity-rich lifestyle,” says David Hovey Jr., president of Phoenix-based developer Optima. Optima Kierland represents the best of two worlds in the Valley, says Hovey: the vibrant, metropolitan setting of North Scottsdale and the natural beauty of the nearby Sonoran Desert. Residents can take advantage of on-site sports and exercise facilities that include a 16,000-square-foot indoor/outdoor fitness center, golf simulator and indoor basketball/squash courts. With 360-degree mountain and cityscape views, the Sky Deck features a heated lap pool and steam and sauna rooms. Spacious common areas offer venues for relaxed social gatherings around sundecks, barbecues, fire pits, and a covered outdoor bar. The units include floor-to-ceiling windows, Italian or Bulthaup German cabinetry, granite or polished quartz countertops, designer flooring and carpeting, Kohler fixtures and gourmet Bosch stainless steel appliances with gas stovetops. Lush gardens and water features on the lower levels merge with vertical landscaping to integrate the modern architecture of the tower with the surrounding desert. The building also provides 24/7 virtual concierge services.